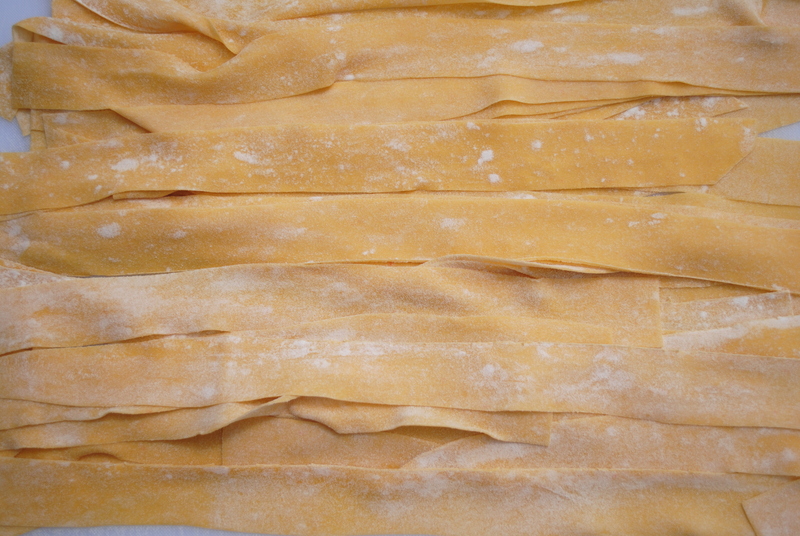 Pappardelle is a wide cut pasta made with egg. Most often you will see this in the region of Tuscany paired with a Wild Boar Sauce called Cinghiale. It is best served with the stewy type sauces, but that doesn’t mean that it has to be meat based.